Jane Moneypenny is an agent with the British Secret Service. In truth, she is primarily the personal secretary and assistant to M, legendary head of the British Intelligence organization best known as operating the 00 program. While she is friendly to and cares deeply for each of the Double-O agents, there is no secret that she holds a particular attachment to 007, James Bond. In the tales of that agent, chronicled by Ian Fleming first and then several others to follow, Miss Moneypenny, for no one ever dared use her first name, was forced by duty and convention to remain stolidly at her desk and pine and fret the state of her agent. And the end result of this concern was invariably friendly banter and teasing wooing but always love remaining unrequited. Then a set of diaries written by the woman during the early to mid 60's were passed to her niece on the tenth anniversary of her death. 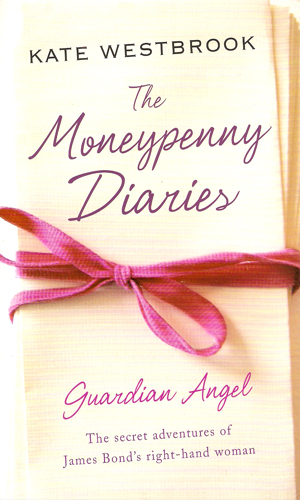 These intimate writings told of a far different Miss Moneypenny, a woman of great bravery and steely resolve. Her devotion to the Service and to her boss, M, remained true but, according to these journals, there were several times when her concern or her determination pushed her away from the desk and out into the cold world of espionage. 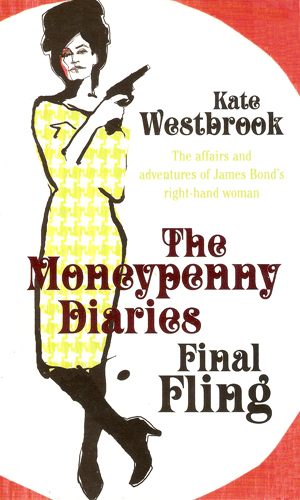 Whether it was to aid an endangered Bond or to go it alone, Jane Moneypenny proved she was as tenacious as Bond. And while she might be as dangerous in the field as he, she would prove over again that her intellect and her tenacity made her a deadly weapon in her own right. At least one other site lists another book in the series, coming out at the same time as the first. The name list was Intended For Her Eyes Only. I believe that this is an alternate title for Guardian Angel. Let me know if you have proof otherwise. Jane Moneypenny decides she can no long wait at her desk worrying about agent 007 when words in that there is trouble in his mission into Cuba. She decides to head there herself and put her unique talents to his aid. The Secret Service is in considerable disarray. With her favorite agent again in grave danger, Jane Moneypenny takes on a secret mission to the Soviet Union. When Jane Moneypenny becomes convinced that there is a mole in the Service, she convinces James Bond to join her in a mission in Jamaica whose real purpose is to smoke out the traitor. First published in the Tattler, this tells of an evening Jane Moneypenny and James Bond spent Royale-les-Eaux. Initially printed in The Spectator, this story talks of the first meeting between Jane Moneypenny and James Bond as he enters the 00 section but before the mission to Casino Royale. My initial reaction to learning of this series was to shake my head and frown. The Miss Moneypenny I grew up with was the epitome of unrequited love, not a heroine able to rescue her love from the tracks of an oncoming train. But then I pushed myself to look deeper and was pleased to see that the author had, IMHO, done justice to the fine lady and not turned her into something she was not. She just added to her. If you don't fancy romance novels, you won't fancy these. But if you are not adverse to steamy scenes told from the woman's view, or are a Bond fanactic, you should have a good time with the new and improved Miss Moneypenny. My wife and I plus everybody we know loved these books. Westbrook found a unique way of telling a warm and charming story. 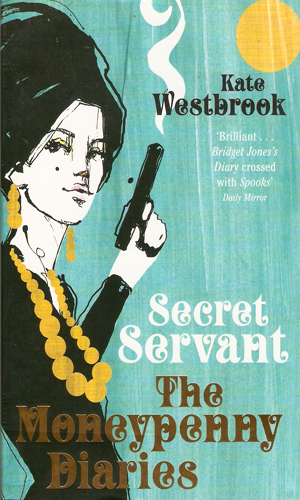 For Bond afficianados everywhere - if you haven't already, give yourself a treat and read this great series!